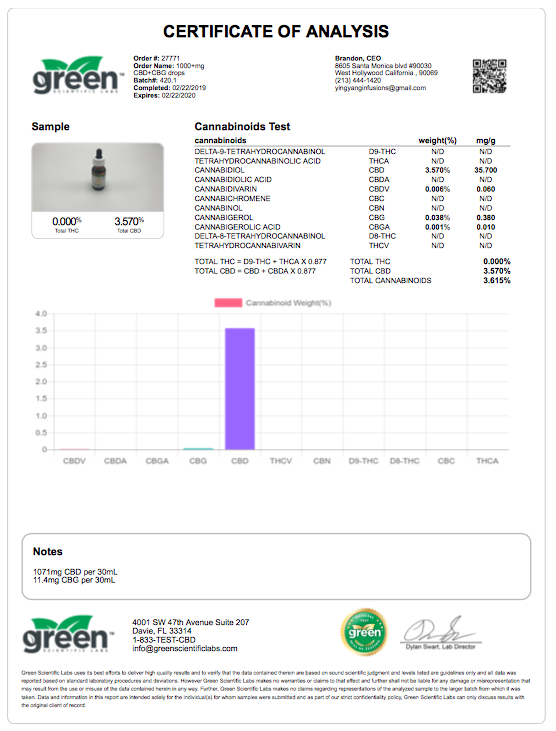 At Yin Yang Infusions we use only the highest quality, purest, THC-free organic oils. all of our oils are refined to 90%+ purity, and purified of any solvents or impurities. We are able to accurately formulate all of our products based off of the lab testing conducted on the raw materials. 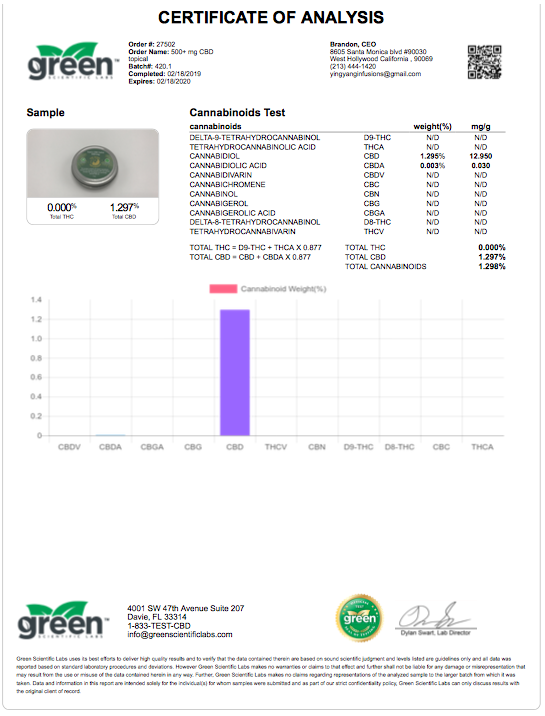 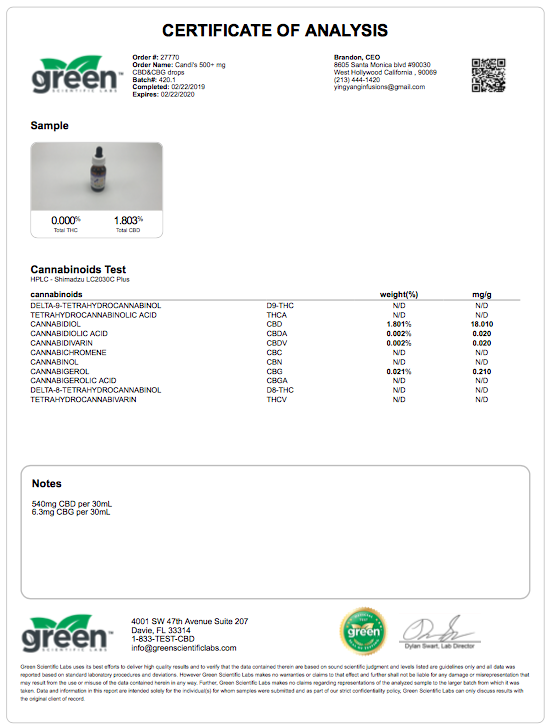 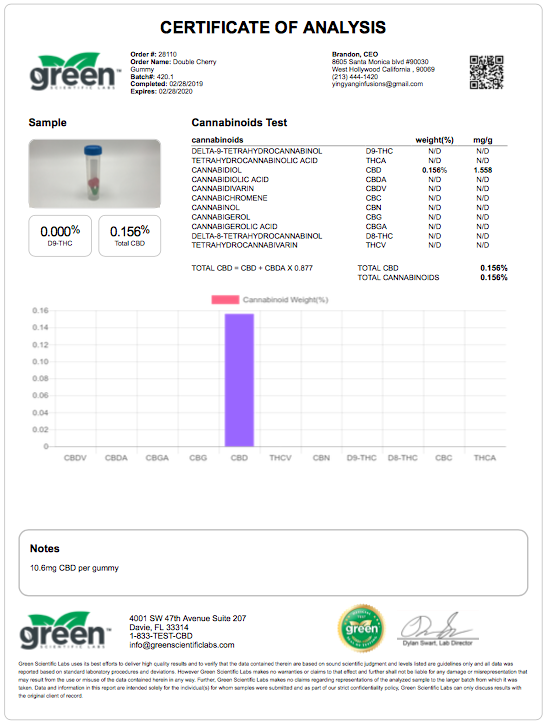 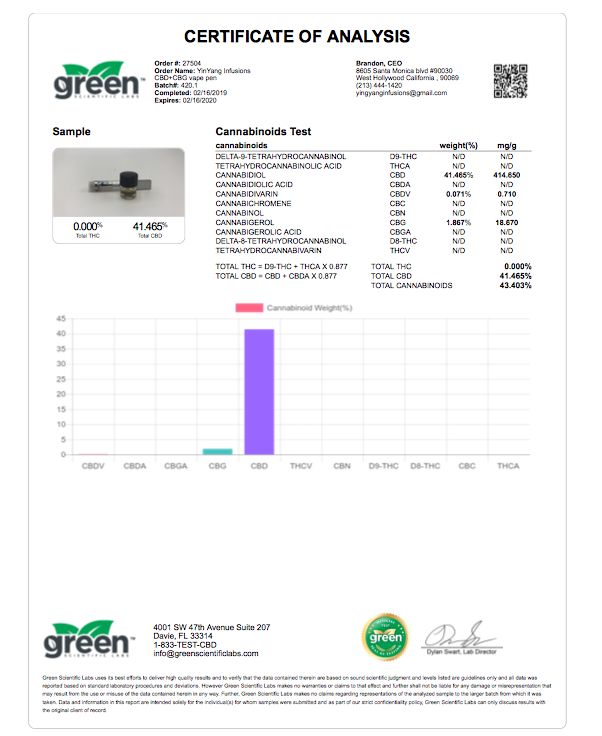 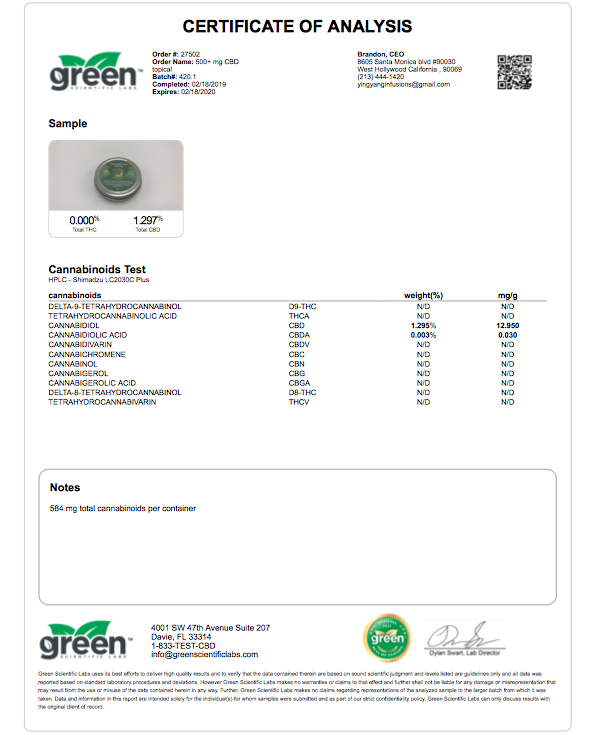 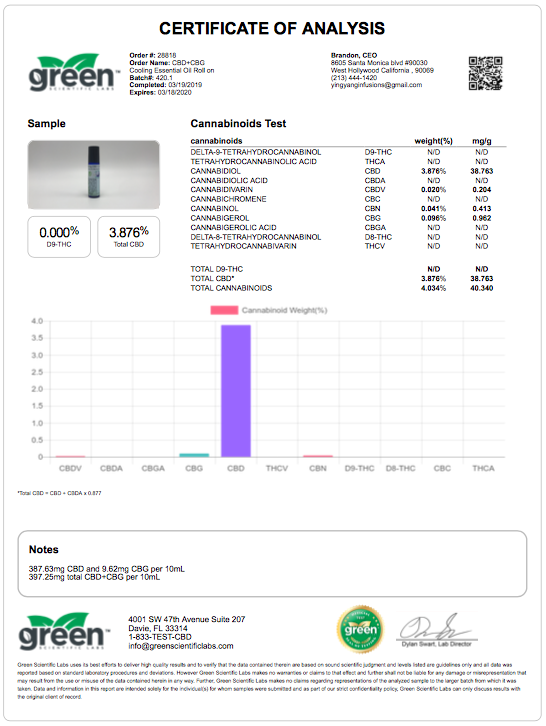 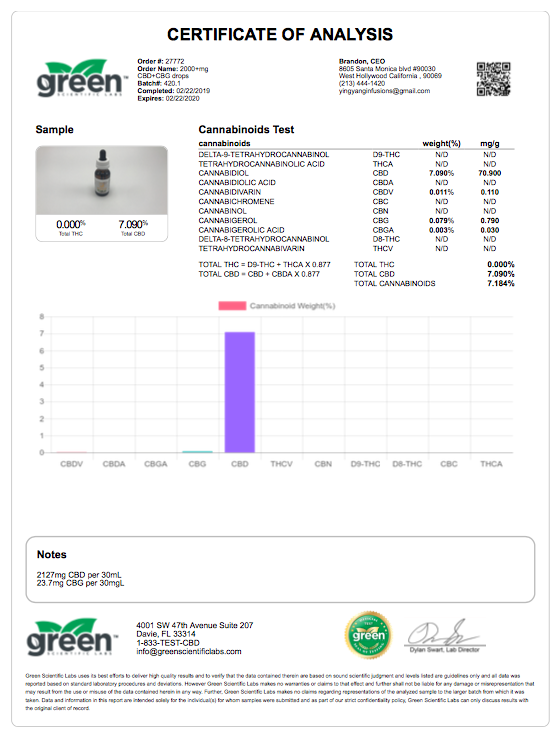 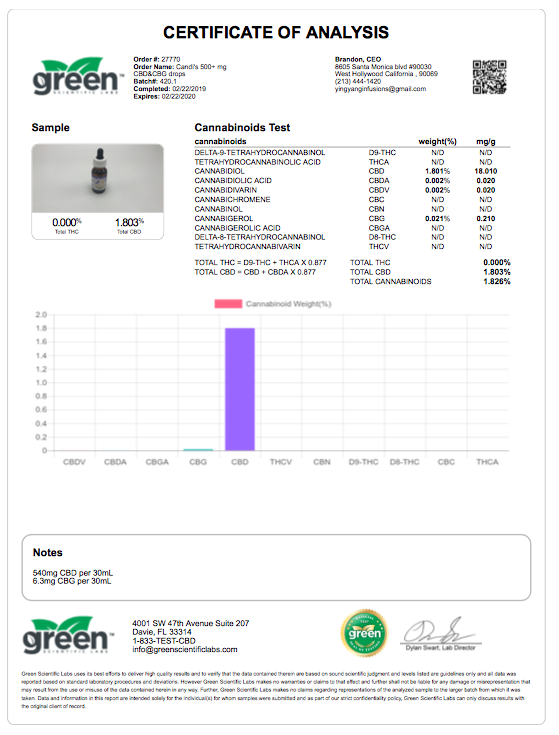 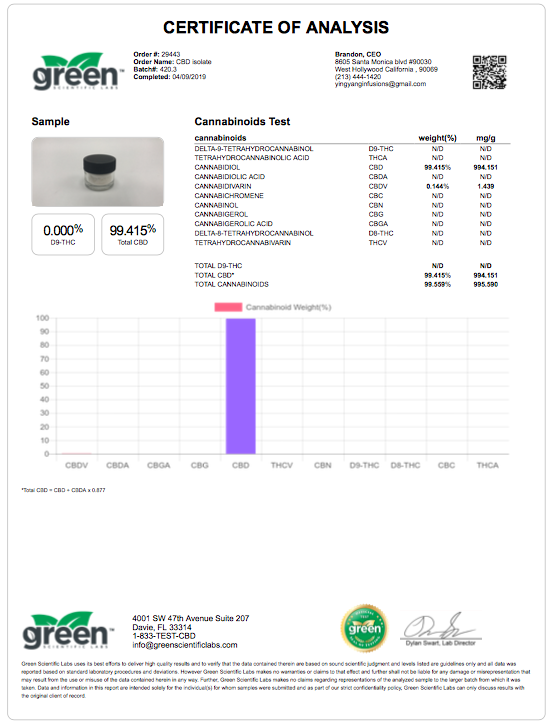 To guarantee accuracy and honesty, we then lab test each batch of products; results of which can be found below.